Newtown AFC manager Chris Hughes is expecting a tough game at Barry Town United when both sides meet on Saturday night in front of the S4C cameras. The JD Welsh Premier League encounter kicks off later than the usual 14:30 start as the match will broadcast live on S4C at 19:30. It will be the Robins’ first match in 10 days when they hosted a 1-1 draw against Connah’s Quay at Latham Park. Last weekend was a resting one for the players and the staff as the semi-finals of the Nathaniel MG Cup took place. Hughes however is looking forward to getting back to it in order to continue their league campaign. Nick Rushton’s second half equaliser denied the Nomads all three points last week – rewarding the reds with a point to add to their tally. 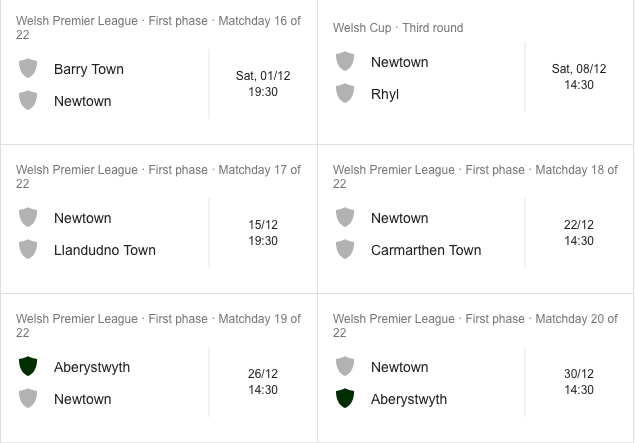 Newtown’s next match is a trip down to the south of Wales where they visit Jenner Park, the home of Barry Town United. 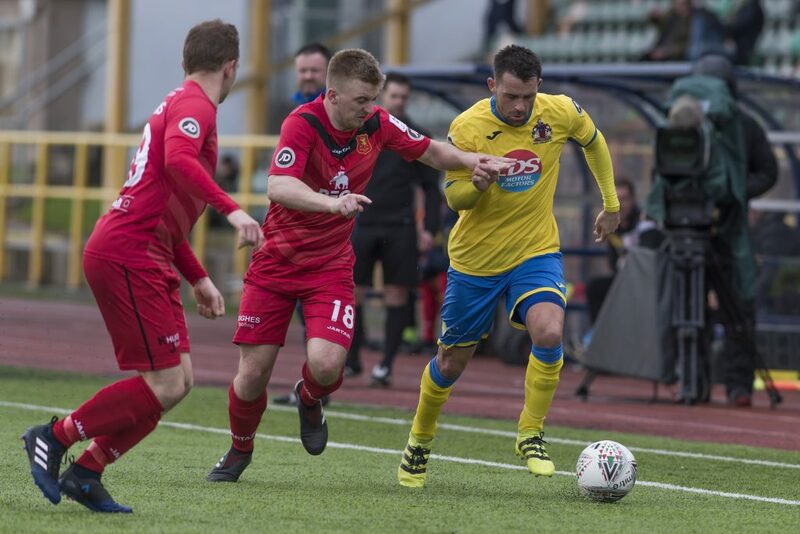 The last time both sides met at Jenner Park saw the game end as a draw at 1-1 which took place last season. A certain Ethan Jones opened the scoring for Hughes’ men before a second half reply from Jonathan Hood denied a successful away win. The boss hopes to go one better this Saturday night but is aware the Linnets are hungry for the league title. 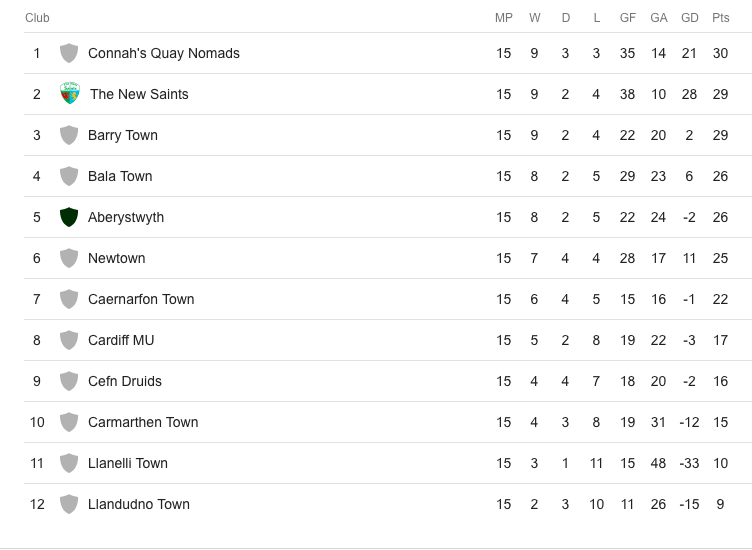 Newtown are currently 6th in the Welsh Premier League table with 25 points after 15 games but are only four points behind Barry Town and just trailing by five behind the league leaders, Connah’s Quay. The last few seasons have seen the Welsh Premier League champions, The New Saints, run away with the league title with over a handful of games to spare but this season has shown so far that it is widely open. Hughes added: “I think the league is showing the standard within the league is probably not as big. You are seeing results come in every week. “The teams around us are picking up points from the top teams of the league and it shows the gap is not as big and I think it shows that from position 1 down to position 8 or 9 – there is not that many points in it. The trip to Barry sees Newtown play their first of six matches in December in what will be a busy month with the festivity fixtures being just around the corner. The gaffer is relishing the challenge with the Welsh Cup campaign ready to kick-off plus the fight to finish in the top 6. Hughes said: “December is going to be a big month. We start our Welsh Cup journey this month and we’ve got some big games with some local derbies.